The Kiko Loureiro Signature Shiba Drive Re|Loaded is the result of the collaboration between Suhr and Megadeth guitarist Kiko Loureiro. 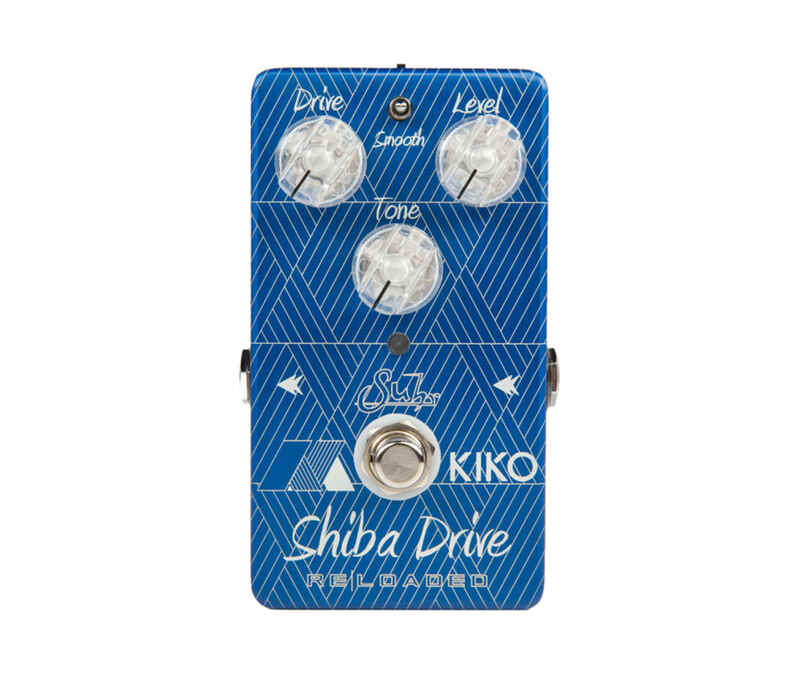 Since 2015 Kiko has been a fan and used an original Shiba Drive as his main overdrive pedal in the studio and live for both his solo and Megadeth projects. The Shiba Drive Reloaded offers over 50% more gain than their original Shiba Drive. Suhr's engineers fine tuned it's gain stage, increased saturation and upper harmonics, which resulted in improved midrange articulation and more sustain, allowing your notes to sing without sacrificing low end definition. Suhr redesigned Shiba's Smooth switch to be more apparent offering flexibility, giving you the ability to fine tune your sound. Whether you prefer warm violin-like solos or an open and defined full-bodied rhythm tone, Shiba Drive Reloaded is your ideal overdrive pedal for a variety of playing styles.